The secondary airport of Helsinki and an important historical monument, Helsinki-Malmi (EFHF) is now under threat of demolition from the City planning council. This would rid Helsinki of its only airport accessible to smaller planes and effectively kill a whole branch of Finnish aviation industry. 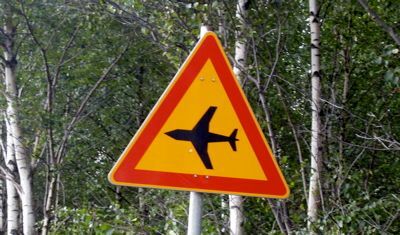 Closing Helsinki-Malmi would remove Finland of its second-busiest airport. In addition to being a busy private and small aviation airport, Helsinki-Malmi is also the main center for pilot training in Finland. In the unifying Europe travel and communications are increasing in importance. Especially to remote countries like Finland it is very urgent to ensure a smoothly operating flight industry in order to not get isolated from centers of politics and commerce. This is not viable if flight training has to be dispersed to more remote and expensive locations. Helsinki-Malmi also operates as the secondary airport to Helsinki-Vantaa in case of strikes or catastrophes. If Helsinki-Vantaa would be temporarily closed for some reason, like it was during a strike in late 80s, Helsinki-Malmi provides a convenient location. Routing the flights in such situation to Pirkkala or some other airport would make air travel difficult. In addition to the hard values, Helsinki-Malmi is an important recreational area for citizens of Helsinki. Parachutists, private aviators and flight enthusiasts would lose the only location for their hobby near the capital. Closing Malmi would make Helsinki one of the few major European cities not accessible by smaller aircraft. Helsinki-Malmi is also an important base for rescue helicopters and the Finnish border guard. The state has recently made huge investments into the border guard helicopter base in EFHF, and these investments would now be lost. As one of the few operational examples of 30s functionalist architecture, and such is listed as one of the 100 most endangered sites by the World Monuments Fund. As the previous main airport of Helsinki, Helsinki-Malmi has also played its part in several events in Finnish history. It has housed Finnish and German fighters protecting Helsinki from Soviet bombers in WWII, and was the site where Mannerheim's funeral procession started. The value of Helsinki-Malmi is not only in the round terminal building, but in the whole, functioning airport milieu. Destroying that would be irreversible and completely pointless. It reminds of other cases where regimes have destroyed important heritage for the purpose of vanity. Malmi was originally selected as the site of the new Helsinki airport contrary to recommendation from pilot hero Charles Lindbergh because of its unsuitability for housing. The whole airport has been built on top of a swamp, making the construction process very expensive. In the end a new main airport had to be constructed to Pakkala because the landing strips couldn't take the weight of new, heavier passenger aircraft. The swamp would make house construction too expensive to be viable still today. The city planning council is proposing development of small private apartments to the area. The heavy-duty foundations required when building on such area to prevent houses from sinking would make the apartments very expensive. At the same time there are several far more suitable locations available nearby. Only few kilometers northeast of the airport begin the drier forests of Sipoo. In addition, the city is gaining new housing areas as Port of Helsinki moves to the new Vuosaari harbour. There are also plans to evict the military from the Santahamina island just few kilometers from the center. This all proves that Helsinki is not running out of viable construction space. And it has to be also noted that the population numbers in the capital have been shrinking lately, even further removing the need for new housing. Helsinki-Malmi was rented to the Civil Aviation Administration for 99 years back in the 30s. Now the City of Helsinki wants to evict them on the clause that the airport must be used for civil aviation. For some reason City of Helsinki chooses not to recognize that private aviation and flight training are also counted as civil aviation. This is a very dubious legal standpoint. The democratic commitment of the city must also be questioned. The decision and talks about the future of Malmi were pointedly scheduled after the recent city council elections, and all major parties declined to comment the issue. This is understandable as the city wants to close the airfield against the will of a vast majority of residents of Helsinki. This is not how democracy is supposed to work, but then again we live in another system called "representational democracy". The current decision was only been a recommendation from the city planning council. The actual actions still have to be ratified by the city council. Apparently the decision will be made before Christmas. It is not too late to save Malmi. Sign the petition, contact your city councillor and follow the news on the matter. Closing the Helsinki-Malmi airport would be an irreversible action affecting aviation safety and training possibilities, and destroying an important historical milieu. Note: I have some bias on the matter as I'm currently attending a Private Pilot License course arranged by Malmi Aviation Club and Flying Club of Finnair. I also enjoy going to Helsinki-Malmi to watch vintage aircraft like AN-2 and Tiger Moth which make EFHF their home airport. Updated 12:37: Helsinki City council will decide the fate of Helsinki-Malmi on Monday Dec 20th. There will be a demonstration at 15:30 in front of the City hall. Updated 2004-12-20 12:47: I got a reply about this post from Sakari Pulkkinen from the Malmi project team in city planning department. He suggested that I should contact the city council about this which I have now done. "The whole airport has been built on top of a swamp" is not true. The area has a clay basis and can be used as regular construction area. The basis is better than soil for exaple in Pikku-Huopalahti or Arabianranta. Regarding this I have to admit I don't know the truth. My sources were the statement of earlier chief major of Helsinki, Raimo Ilaskivi and the description in History of Helsinki-Malmi. Anyway, the next point of action is the demonstration starting in 45 minutes.